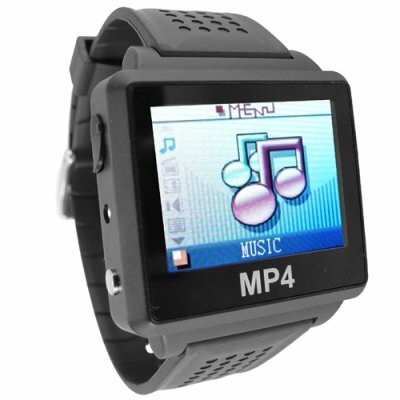 Successfully Added MP4 Bluetooth Watch (8GB) with Bluetooth Headphone to your Shopping Cart. Take advantage of the spacious 8GB capacity and carry your favorite music and movies everywhere with you. Wherever you go, wherever you are, this stylish MP4 watch gives you the freedom and convenience to enjoy your digital media while on the move. Watch your favorite movies, listen to your favorite music or simply enjoy your photos - the choice is yours!